Home Latest Roofing News & Offers What should I use to re-roof my shed roof? Time to refresh your shed roof? We’ve compiled some information on each type of material we recommend for your roof, so you can make the right decision on how it looks and performs in the future. Shed roof felt is the most common shed roof material whereas there are other alternative shed roof materials that you may not have considered including shingle strips and lightweight roof tile strips. Installing these alternative shed roof materials can make your shed or outdoor building a wonderful, good-looking talking point that you will be proud of. Which material can I use for my shed roof? 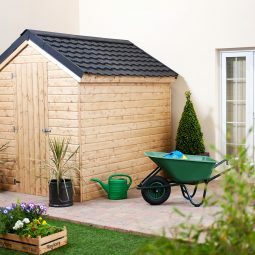 Sturdy and waterproof materials are the best for use on a shed roof or garden building. Here at Roofing Superstore we’d recommend using felt, bitumen sheets or shingles, plastic tiles, or wood shingles to secure an attractive, long-term waterproof roof. Transparent or translucent plastic roof sheets are a good choice for lean-tos and some outdoor buildings but you’d see the board on the other side of the plastic when fixed to a shed roof so we don’t generally recommend this. 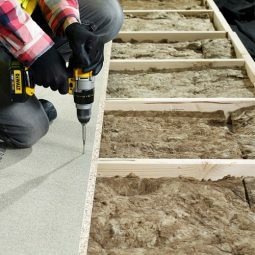 Shed roof felt is one of the easiest materials to fit to a roof and can be done by anybody with a bit of DIY experience. When installing felt correctly on a shed roof you can achieve a waterproof membrane that fits seamlessly with the surroundings or stands out, dependent on the colour of felt you choose. 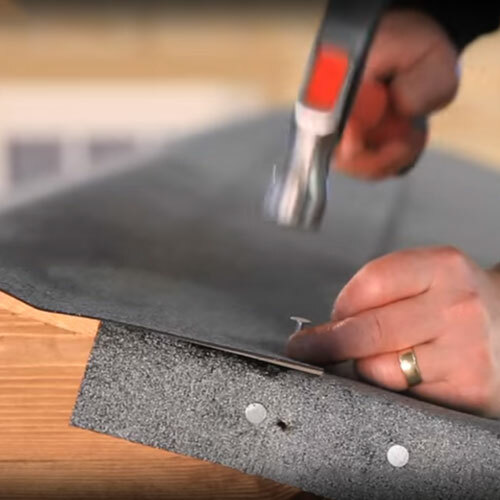 Installation can be as simple as removing the previous shed roof substrate and the fixings that accompany it, simply roll out the felt to the length and fix into place with nails. 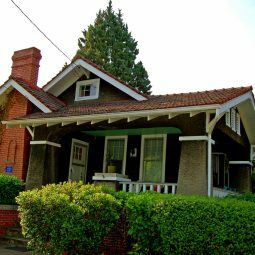 Shingles are also a great option for shed roofs as they offer an inexpensive, good-looking finish. With many colours and textures to choose from, both bitumen shingles and wood cedar shingles can finish your shed roof to a high quality standard. Felt shingles will fit any shed roof with a pitch of 15º or more and they don’t require any maintenance. The same applies to cedar shingles, suited to a 14º to 90º pitch, however they give an authentic wood finish that would compliment a traditional looking shed. Both Coroline and Onduline bituminous roof sheets are strong and long lasting, making them a perfect fit any shed roof. The large panels are available in red, green, black and brown, and when installed correctly are guaranteed to be waterproof for 15 years! All you need to fix these to your shed roof are nails, caps and washers, minimising installation time. 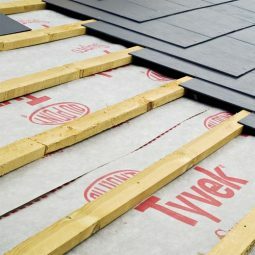 In strips of tiles for easier and faster installation, Lightweight Roof Tiles from Lightweight Tiles Ltd. are made from part-recycled plastic and weight just 6kg per m2. The fact that they’re so lightweight means they’re easier to handle when placing them on your shed roof and the shed itself doesn’t need to hold unnecessary weight on the roof. The tiles simply slot together to form an authentic looking tiled shed roof finish. If you’d like more information on what products are available to you to re-roof your shed roof, contact our roofing helpline on 01752 692760 or use our live chat in the bottom right hand corner.